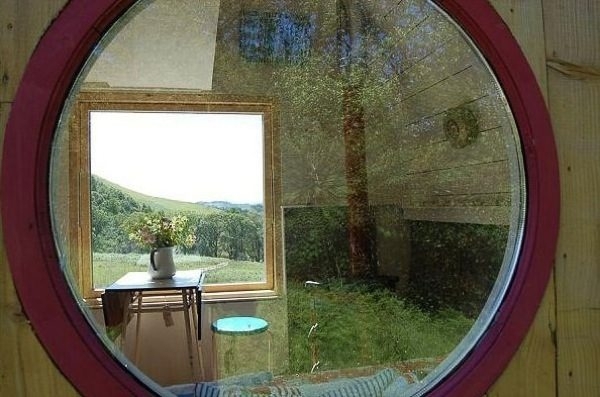 The comforts and functions of a modern home are packed into a slice of sheer ingenuity in this micro cabin located in the lush countryside of Machynlleth, Wales. 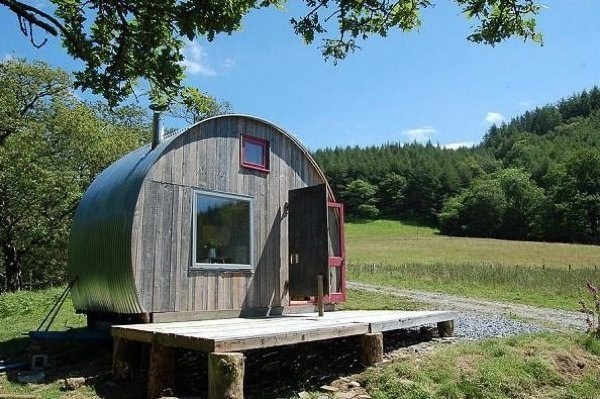 The Caban Crwn guest house, named after its cylindrical shape (crwn means ‘round’ in Welsh), is a clever assembly of space and function within constrained dimensions, offering a cozy habitat to its occupants. Generous openings on both its faces- front and back- open up this micro cabin to fresh air, light and panoramic views, breathing relief into its narrow interiors. 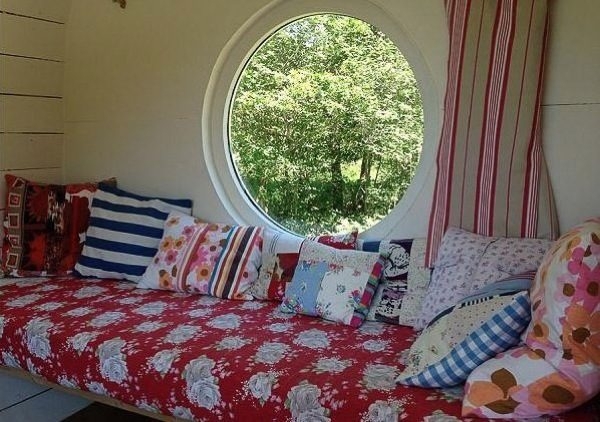 The idyllic landscapes are framed by round windows on the back, while the front face is more traditional in composition. 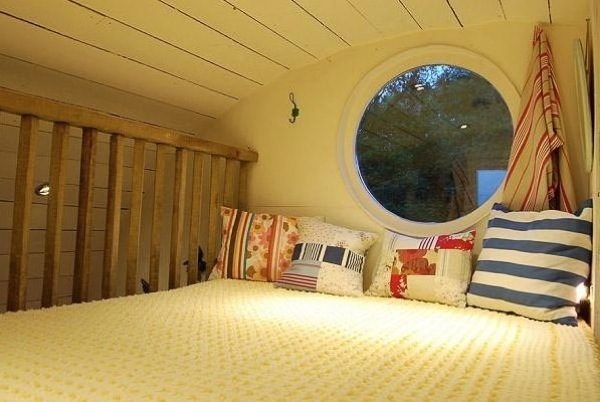 Built of sturdy and simple materials, the cabin has a loft bed accessed via a compact ladder; the remaining functions are organized on the lower level. Equipped with a LPG cooker, grill and cool box, the guest house provides for all the needs of modern living with simplicity. 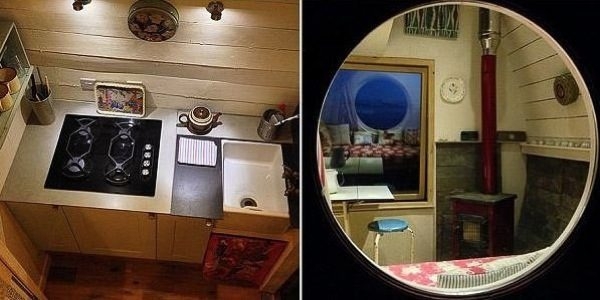 A composting toilet and shower is also located discreetly on the lower level next to the kitchenette, allowing the micro cabin to sit neatly in the middle of nowhere. 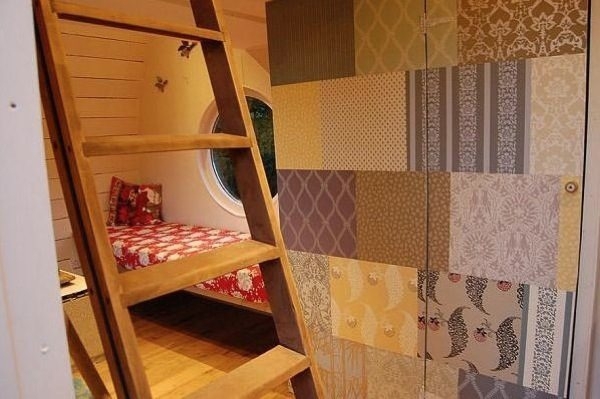 The décor is organic in its juxtaposition of patterns, colors, textures and materials, giving this micro cabin a warm and homely feel. This is a place to kick back and unwind among the vast spaces outdoors. 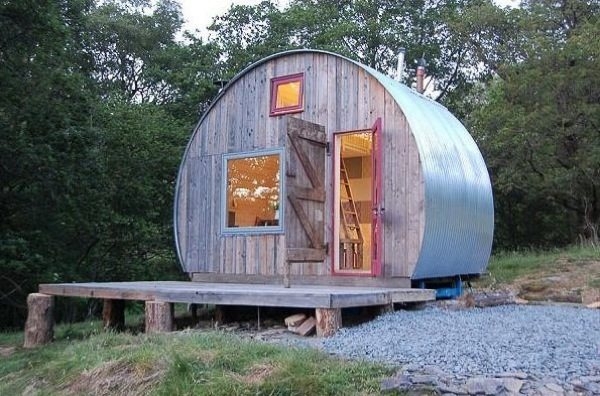 A definite treat for anyone on holiday in this beautiful country, the Caban Crwn may be tiny but is impressive nonetheless.